Pitch Marketing Group has appointed Saatchi & Saatchi's Mark Norcutt as its inaugural executive creative director. Adam Raincock, Henry Chappell, Pamela Nobile and Mark Norcutt. 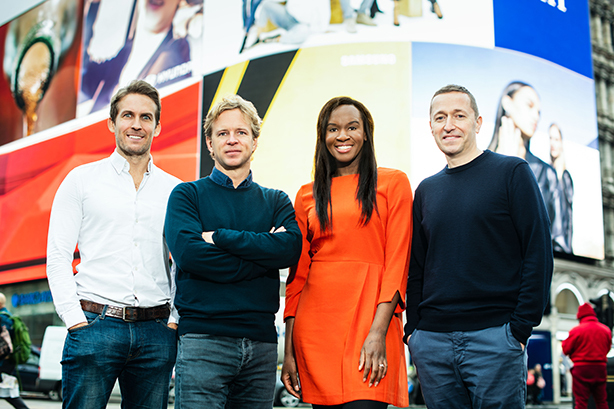 Norcutt will lead the agency’s creative direction, as well as new business, and will join a leadership team that comprises founding partner Henry Chappell, managing partner Adam Raincock and non-executive chairman Ian Priest. He was a creative director at Saatchi & Saatchi and has worked on campaigns for HSBC, Toyota, Visa, the European Tour and more during a seven-year stint. Norcutt has also worked as a creative director for five years at J. Walter Thompson (now Wunderman Thompson) and was art director at AMVBBDO and Leo Burnett. His work has won multiple Cannes Lions on a wide range of clients, from McDonald’s and HSBC to Kellogg’s, BT, Smirnoff, Kit Kat and MTV. His creative philosophy is to ‘create ideas that people will talk about’. Norcutt's signing is an important step towards enhancing Pitch’s creative credentials and capabilities on the back of the agency’s most successful year since it was formed in 2002. "Mark’s appointment in this new role is reflective of our focus on world-class creativity, and our plans for growth off the back of a great year," Raincock said. "We won competitive global pitches, grew revenues from our existing client base and created our best-ever body of creative work. "Hiring someone of Mark’s calibre with his level of expertise is reflective of the ambition we have as an agency, and is part of our ongoing strategy to invest in our creative product. His role will be to oversee the creative culture of the agency; from the way we work, to the campaigns we produce, and also to challenge us and our clients to be bolder and braver in our approach." Also joining Pitch is new head of talent Pamela Nobile, who has been appointed to bolster the agency’s training, diversity, culture and growth. She has worked in a talent development capacity at a variety of creative agencies, including Hogarth Worldwide, JWT and Spark44. Pitch now has 45 staff and a client roster that includes Beats, Hyundai, The FA, Red Bull, TAG Heuer, Virgin and BT Sport. The agency's three core areas of focus are PR, production and partnerships, and it is well known for its work in the sports, entertainment, lifestyle and consumer spaces. 'A bumpy road ahead for British cycling' - what next for 'the team formerly known as Sky'?